Apple has released a statement on how the company handles requests for customer data from federal government agencies. The statement comes hot on the heels of the recent reports on the United States “Prism” surveillance program. The Prism bombshell was dropped by the Washington Post on Thursday June 6, when it made public a formerly secret government project — PRISM — which monitors the central servers of nine major US Internet companies. Apple is one of them. 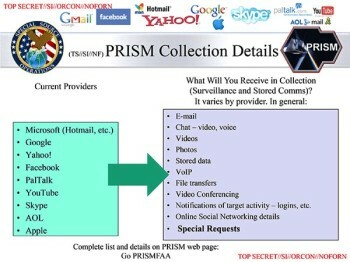 Apple reacted immediately: it sent a statement to the Wall Street Journal saying: “We have never heard of Prism. We do not provide any government agency with direct access to our servers, and any government agency requesting customer data must get a court order.” Since then, each of the nine companies have issued a press release denying allegations of providing private data.